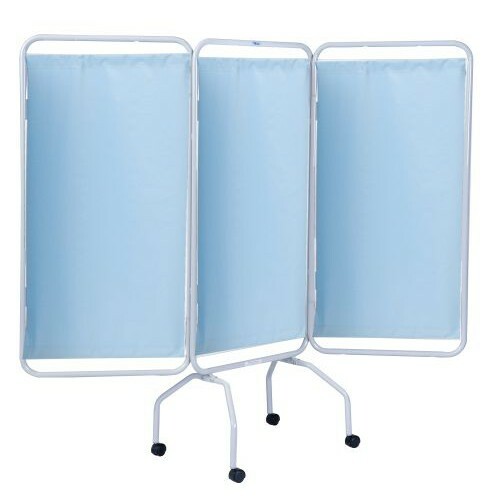 Privess Basic 3-Panel Privacy Screen with Sure Check is a folding privacy screen is the ideal folding wall for healthcare professionals, disaster relief and education professionals who require a sturdy metal screen that can easily be moved to protect patient privacy. This folding privacy screen offers portable, high-quality steel framed privacy protection in a value-priced package. Privess Basic 3-Panel Privacy Screen with Sure Check is a folding wall equipped with anti-microbial features. Additionally, this privacy screen is also anti-static, odor, stain and flame resistant and available in five different stylish colors. 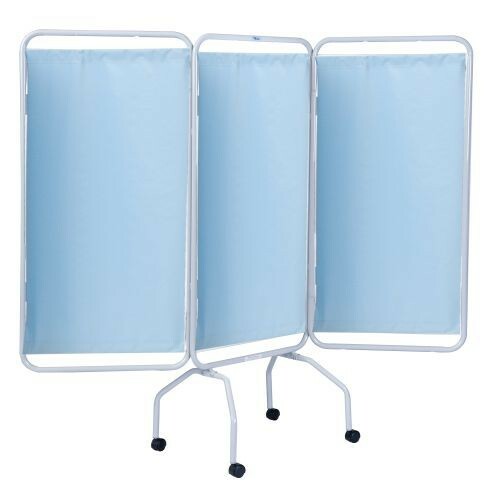 You might also be interested in similar folding wall screen products that we carry, such as 3 Panel Privacy Screen. Casters for mobility and crutch tips for stationary use. Smooth white vinyl or optional Sure-Chek panels for easier cleaning. Sure Chek is anti-static, odor, stain and flame resistant and is available in 5 decorative colors.